Attorney general said the government has reduced the number of executives and taken aim at bonuses in new contracts. Despite the financial mess at ICBC, several top executives have received tens of thousands of dollars in bonuses. The public auto insurer lost more than $1 billion last year, leading Attorney General David Eby to call the situation a "dumpster fire." On Thursday, he acknowledged that executive compensation is a concern but laid the blame at the feet of the previous government. 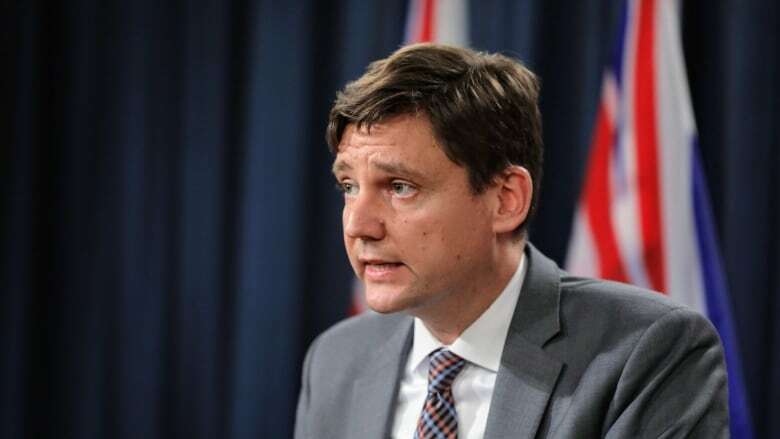 "When you inherit the situation like we did at ICBC, you inherit contracts that were signed previously, contracts that included bonuses, contracts that included additional compensation," Eby said. The corporation's chief investment officer received a bonus of nearly $50,000 in the last fiscal year. Eby said that bonus was paid because the corporation's investments were a bright spot in its otherwise dismal finances. Several other ICBC executives received bonuses that exceeded $40,000 on top of salaries of at least $250,000. Eby said the government has reduced the number of executives and taken aim at bonuses in new contracts. "I can tell you that executive compensation is now lower than it was in 2016," he said. "The executive complement is smaller than it was." Executive salaries only make up a small portion of ICBC's costs. The massive shortfall has been largely attributed to a rise in injury and accident claims. Complete information on ICBC executive pay and bonuses are posted online.